The color black relates to the hidden, the secretive and the unknown, and as a result it creates an air of mystery. In color psychology this color gives protection from external emotional stress, which makes it an ideal choice for bathroom decoration. 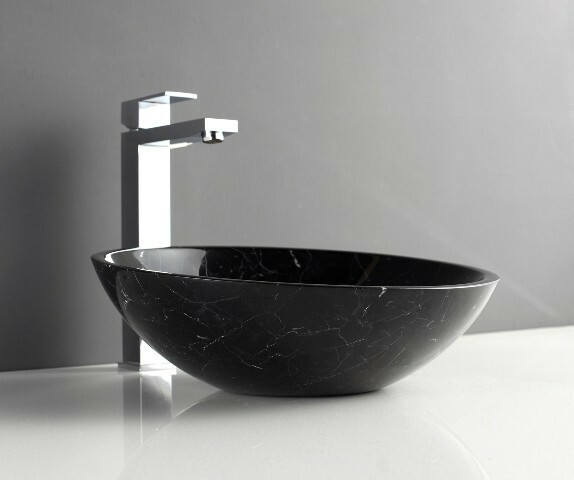 There are lots of ways to add bold, black accents to your contemporary bathroom interior. Black bathroom tiles can make the room look very classy and stylish. 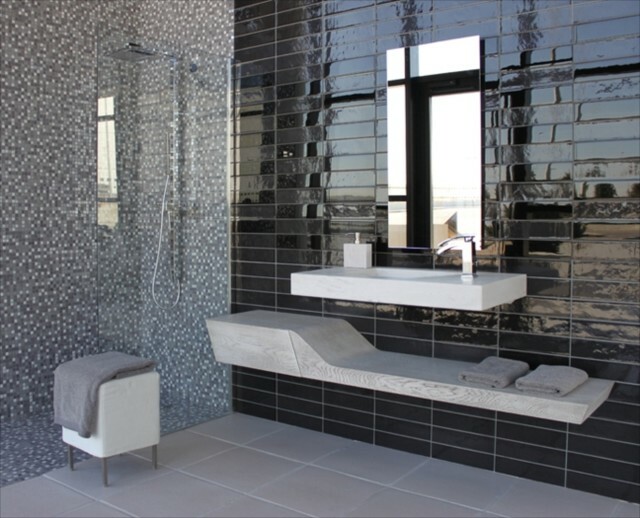 Black tiles are a quite popular solution for modern bathroom interiors. Since it is not a good idea to design your bathroom entirely in black, install wall tiles to create elegant black accents and choose another color for the fixtures, furniture and accessories. 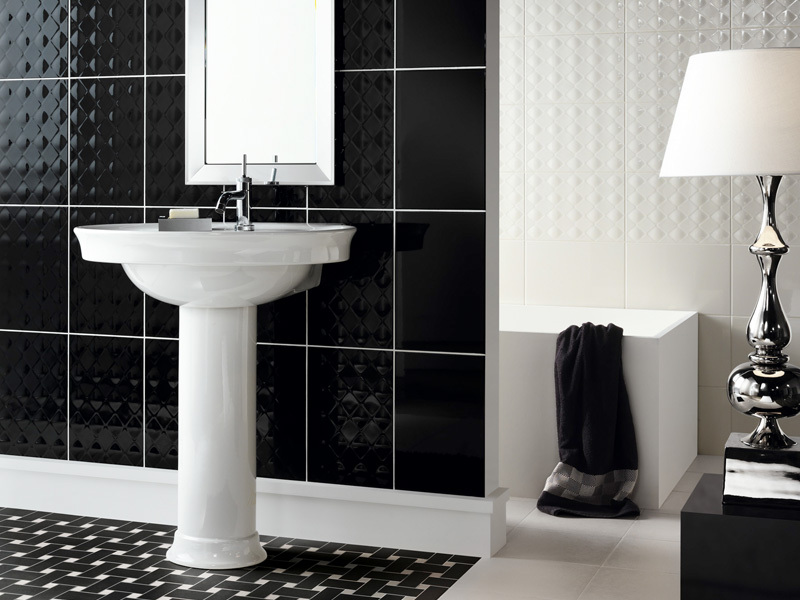 A classic black and white combination is a great choice for contemporary bathroom interiors. 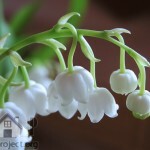 However, if your bathroom is small and there’s no window to let natural light inside, black tiles may not be a good choice for you, since they will make the bathroom look even smaller. 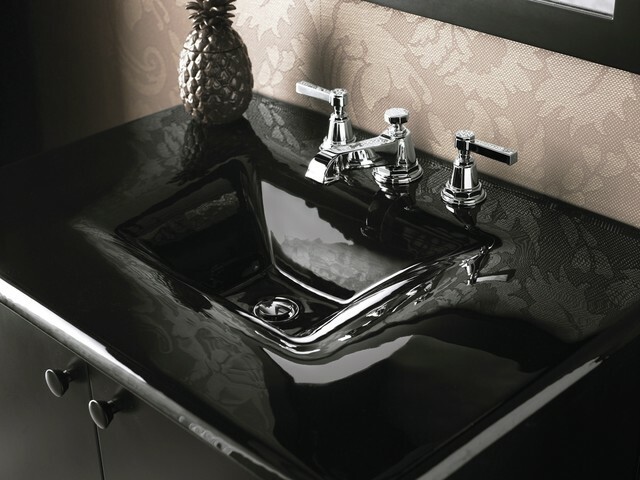 To add some black accents to your contemporary bathroom, you can also choose a black bathroom sink. Select a modern sink design with sleek surface to add style and luxury to your bathroom. You can get all fixtures for your bathroom in black, or you can choose just the sink in this color. Black bathroom fixtures can be combined with light-colored walls to create an interesting contrast. If just the sink in your bathroom is black, you can turn in into the focal point of the room. If you have a black sink in your bathroom, make sure the light around it is sufficient, since black can make the area look darker. 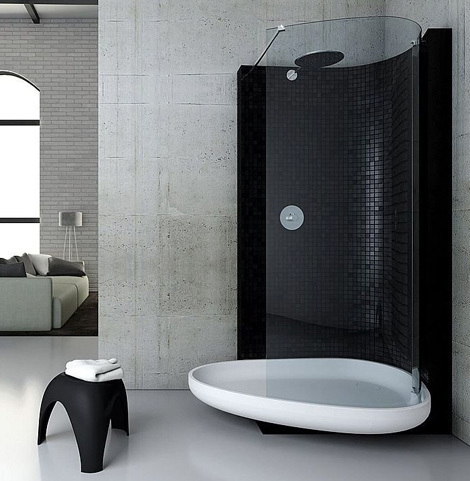 For a modern bathroom your can also choose a black shower enclosure. 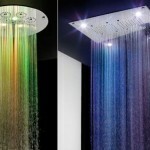 This will make for a beautiful black accent in your contemporary bathroom design. A black shower enclosure will add style and elegance to your bathroom. 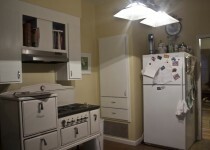 Choose a black shower enclosure for a light-colored bathroom, if you want to create a contrast. 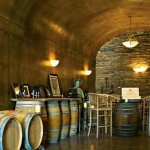 Black is a chic and fashionable color in bathroom interior design. Add some beautiful black accents to your contemporary bathroom to make it look more stylish and elegant.